Standard - $69.99 Only 3 left! Are you a fan of sleep? Of course, you are! Who isn’t? There is nothing better than drifting off to sleep wearing your coziest PJs in the comfort of your bed. Although, now we believe we have found a way to make your napping experience even more amazing. Check out this Minnie Mouse Pajama Costume! This officially licensed pajama jumpsuit will make you look like a cute Disney cartoon while you enjoy your time in dreamland. 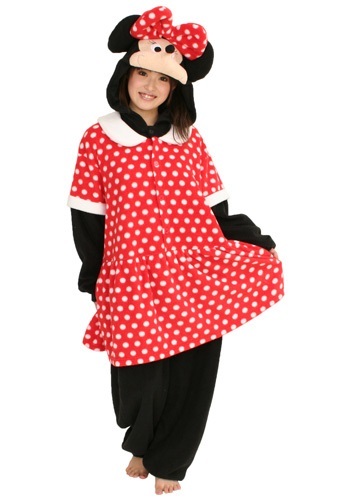 The polka dot dress and matching bow are designed to match Minnie’s adorable style. So while all your friends may be fine with sleeping in a simple undershirt and a pair of knickers, you’ll have a bit more class. You’ll fall asleep and awake looking like one of the most iconic cartoon characters ever created. The best thing about these Disney inspired PJs is that they can also double as a fun costume for any Halloween parties coming up! Have a handful of friends dress up as more classic Disney characters. Then when you all enter the party scene, you’ll transform any get-together into a makeshift Disney World. Make sure to work on your Minnie giggle and her signature Yoohoo so you can properly portray this adorable mouse in all her glory. If you’re ready for a truly magical napping experience or if you want to bring the fun energy of Disney World to your next Halloween costume party then this is perfect for you. 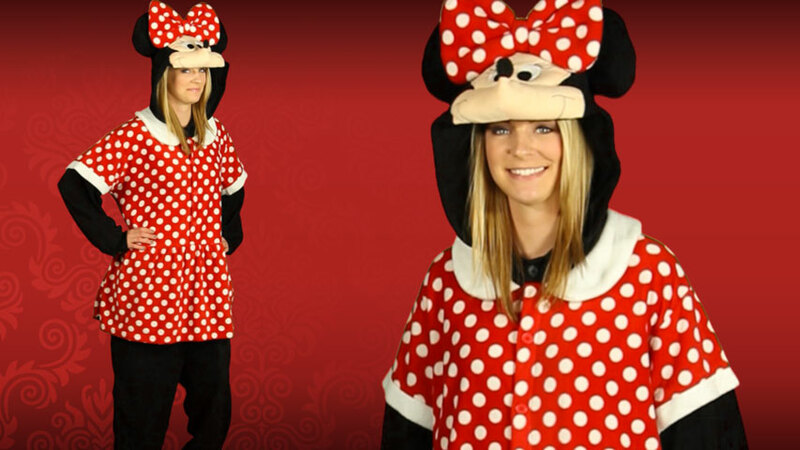 Grab your Minnie Mouse Pajama Costume today and let the fun begin!